1. Amazingly, he played in 14 consecutive Opening Day games from 1991-2004 and every one of them was on the road. Major League Baseball typically scheduled the White Sox in a more favorable climate for early spring, meaning White Sox fans always had to follow Thomas in an opener via broadcast unless they traveled with the club. He did not play in the 2005 opener when the club finally opened at home en route to a title. 2. 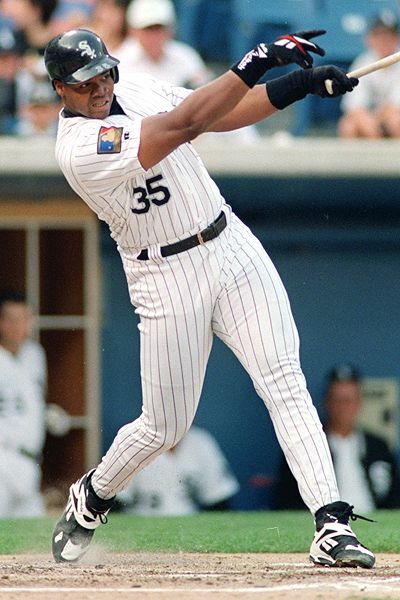 Thomas hit safely in each Opening Day appearance during that White Sox run except 1993, when he was 0 for 3 but walked twice and scored once in a 10-5 win at Minnesota. He was 19 for 46 (.413) with two homers, 13 runs and seven RBIs on Opening Day with the White Sox.